Five great ways for new readers to get the most out of reading Own The Dollar. 1. Subscribe by email or RSS. 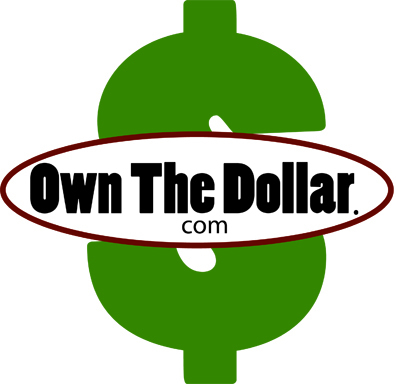 Visiting Own The Dollar’s website is great, but for many people, it’s more convenient to receive the articles in another form. It’s easy to get Own The Dollar’s content by email or in your RSS feeder (if you’re unfamiliar with what RSS is, you can check out Google Reader. You can find links to sign up for the RSS feed and e-mail feed at the bottom of each blog posting as well as on the upper right sidebar of the blog. 2. Comment. 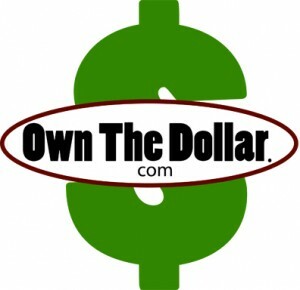 I always encourage everyone to interact with each article on Own The Dollar. I never censor real comments made by a real, live person. They are a huge part of a blog and add greatly to the lively discussion. Just add your comments to the bottom of a post and join in the discussion. 3. Follow me on Twitter. I refuse to tell you when I am heading to Wal-Mart or what I am eating for dinner tonight through Twitter. I mean….do you really care? I don’t even care about hearing that kind of crap. But, I will post tons of interesting articles, great websites, inspiring quotes, extra follow-up material, financial commentary, and other great personal finance information on Twitter. You can follow me on Twitter! If you’re unfamiliar with Twitter, Gary Vaynerchuk said it best when he said that Twitter was “word of mouth on steroids”. What a great definition of something that is so hard to explain! Check it out, and see why I won’t bore you on Twitter with what I had for breakfast today (Special K cereal for all of you keeping score at home though)! 4. Send me your questions and suggestions. Send me an email and let me know what you’re thinking, what you’d like to see me discuss on the blog, and any personal finance or investing questions you might have. I respond to every single email, and I would love to hear from you. 5. Email a great article you find to a friend. Find an article here that you think one of your friends would love? Feel free to e-mail a blog posting to them! Or, print it out and post it around the office water cooler!